The mystery woman known as “Bette Noir” owes her nom de guerre to the poor foreign language skills of a copy editor whose own name has been long forgotten. Reporter Jonathan Marshall, who observed her first clash with the Chicago mob, phoned in his story to the night desk at the Tribune. In it he made the prediction that she would prove be the bête noir of the Chicago gangs, as in fact she did. The night editor’s handwritten notes show that he correctly transcribed the French phrase, but by the time the copy was set, it had somehow been capitalized and the T doubled, perhaps by a fan of Miss Bette Davis. The name stuck. 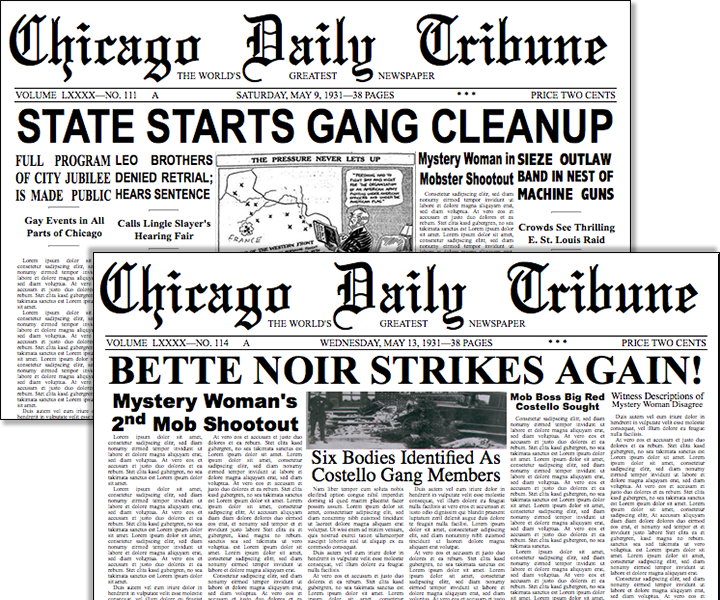 When she clashed once more with the mob a few days later, the Trib’s front page headline read “Bette Noir Strikes Again!“, and so she came to be known. While Marshall, who also hosted a news commentary show on the radio, was unable to correct the spelling of her name, he did manage to establish its pronunciation as “Bet”, as befit its French origin, rather than “Betty”, à la Miss Davis. 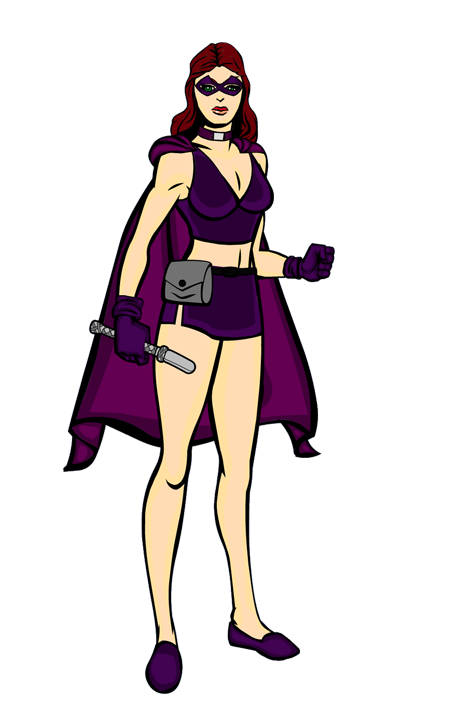 In those early appearances, before the emergence of masked and costumed “mystery men” and “super heroes”, she dressed in dark colors, but not exclusively in black. Her signature cowl was of midnight blue. The drover’s coat that she wore early on was an even darker blue black and she often sported a deep purple vest. The rest of her outfit was black. She carried twin Colt .45 automatics, apparently the original 1911 model. In her first few appearances she appeared and disappeared with no obvious means of transportation, but soon it was discovered that she often arrived in a large black limousine with tinted windows. Her driver was the strong, quiet Giordano. When he was called upon to extract Bette from particularly tricky predicaments, he demonstrated considerable skill with fisticuffs and a police baton. On at least two occasions he wielded a pair of .45s, demonstrating exceptional two-handed marksmanship. Rumors spread that Giordano was Bette’s father, mentor or even lover, but little was ever known of him. 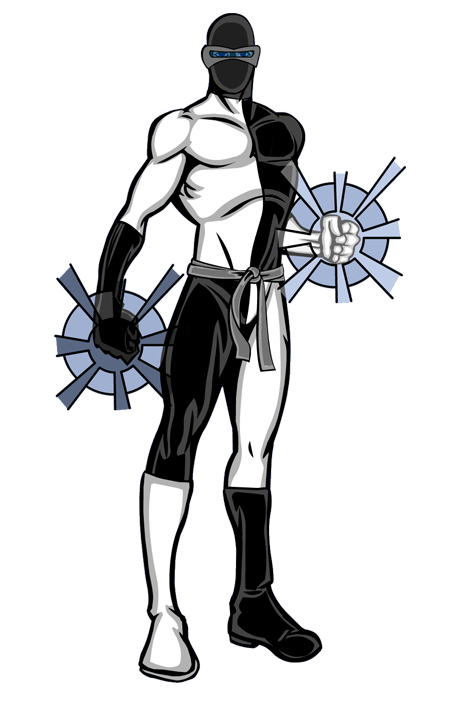 As the 30’s progressed, rumors spread that Giordano was merely the most visible of Bette Noir’s extensive network of spies and covert operatives, the so-called “Legion of the Beast”, but the only other associate that was ever revealed was a young girl who Giordano was heard to call, “Bella Donna”, who was thought to be an orphan whom Bette had rescued a couple of years earlier. The “Legion of the Beast” has at times been connected with a mysterious group known only as “The League”, a cell-structured organization that had hovered on the edge of the law since the late 1920s, often considered a vigilante organization, but thought by many in law enforcement as nothing but competition for the Chicago mob. The League was never conclusively tied to any crimes or vigilante actions, but they were seriously implicated in many. They were said to be the source of murdered Tribune reporter Jake Lingle’s unexplained wealth. 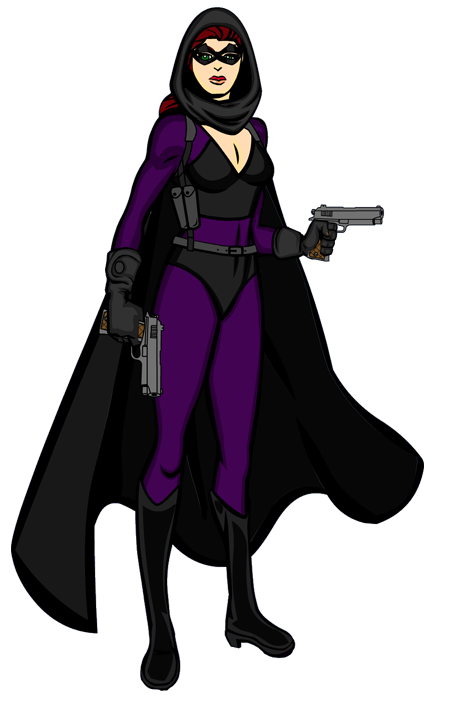 As the masked vigilantes, often known as “Mystery Men”, became more common, and supernatural or super-scientific powers and abilities became their stock in trade, Bette followed suit and adopted a signature uniform. Over the years she had come to rely more and more on her powers of suggestion to strike fear in her enemies, rather than her .45s. 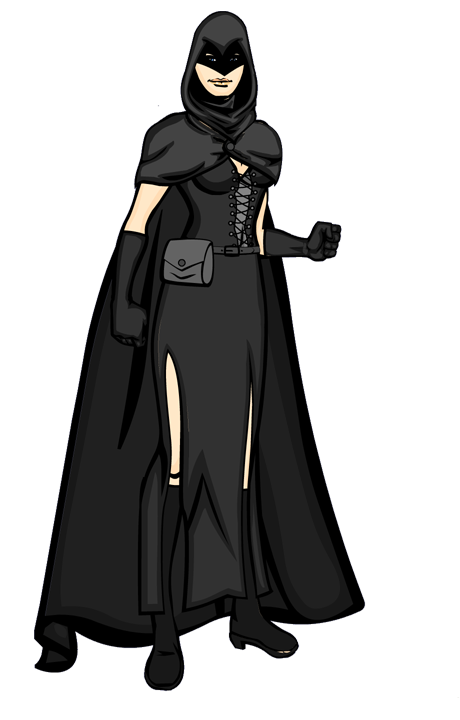 Her new outfit emphasized her role as a woman of mystery, and the black of her name. It was black, broken only by dark grey accessories. Her mannish vest and slacks were replaced by a bustier and slit-seamed skirt. A belt pouch carried her weapons and gadgets. Giordano disappeared from the scene just before the United States entered the war with Germany and his native Italy. Bella Donna, now in her mid-teens, began to make more regular appearances at Bette’s side. In what was perhaps the most controversial of these, she showed up unexpectedly, armed with a small semi-automatic pistol and saved her mentor’s life. It was the last use of firearms by either of them for several years. While Bette often worked alone, the young Bella Donna fought by her side regularly from 1939 until 1952, leading to rumors that Bette actually had a series of teenage sidekicks. 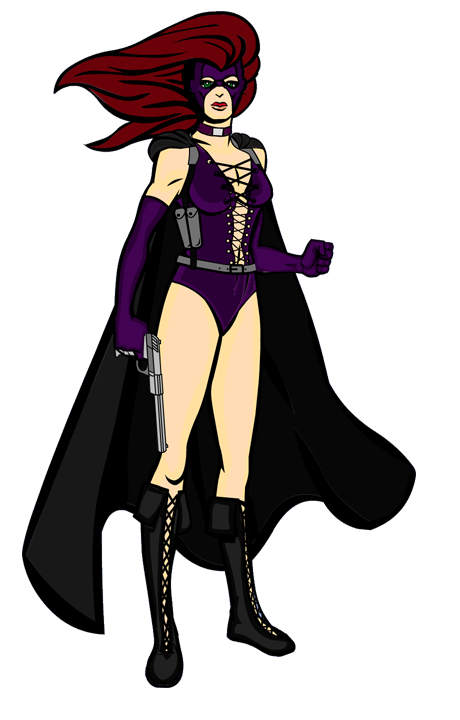 These rumors were enhanced by speculation that one of them, probably the original became the femme fatal known as Deadly Night Shade. With an energetic young sidekick at her side, Bette’s physical skills came more into play, revealing her to be an olympic class athlete and martial artist as well, and the the pair became crime fighters in a very literal sense. Adapting to this new role, her slit-seamed skirt was replaced with grey fishnet stockings, and the pair’s arsenal of gadgets—grapple- and gas-guns, black-out bombs and the like—became their stock in trade. 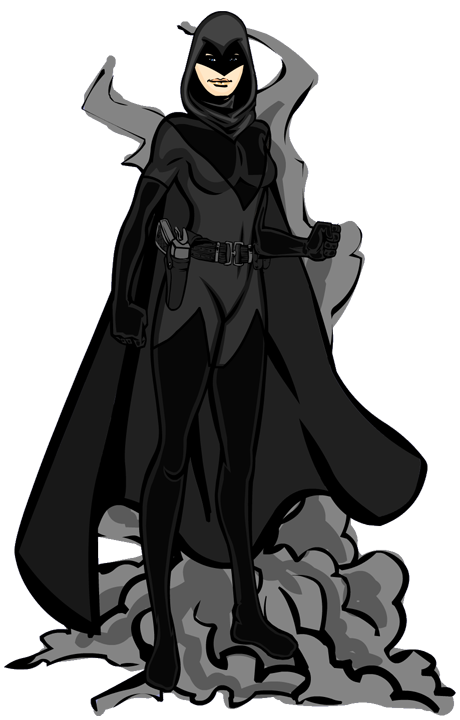 With mystery men and superheroes proliferating, the duo began to team up frequently with others, most especially the Night Watch, a team of dark and nocturnal figures that Bette had a major role in forming. In fact, it was often rumored that she founded the group to distract the world from the activities of the “Legion of the Beast”, a rumor heightened by the fact that Jonathan Marshall, and a few other sympathetic journalists had at one point made a small effort to re-dub the Legion as “the Night Watch”, in hopes of somewhat rehabilitating Bette’s occasionally sinister image. In the late 1940s, Bette seemed to undergo something of a personality change. Whereas up to this point she had always been a creature of the night and shadows, she began appearing in the light of day and took on a brighter more happy-go-lucky attitude. This led to speculation in some circles that Bette had been replaced by her young protégé. Another explanation offered for the changes in her behavior was the company that she kept. Gone were the Legion of the Beast and the Night Watch. Instead, Bette teamed up with The Fox's erstwhile sidekick, Vixen, and the reformed criminal, Masquerade and her partner Domino to form a group known in the papers of the times as "the Good Girls". Bette's costume changed along with her character. 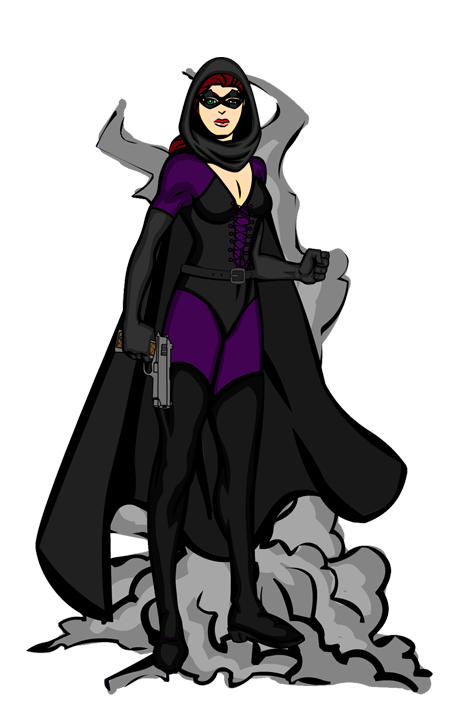 While she never became as sexually provocative as Vixen or Masquerade, she did abandon her long black cloak and signature cowl in favor of bared shoulders and a domino mask. Bella Donna, on the other hand, retained her original costume well into the early 50's. Bella seldom joined Bette in working with the Good Girls. In about 1951, Bette reverted to her pre-Good Girls cowl and cape, with Bella her constant companion once more. 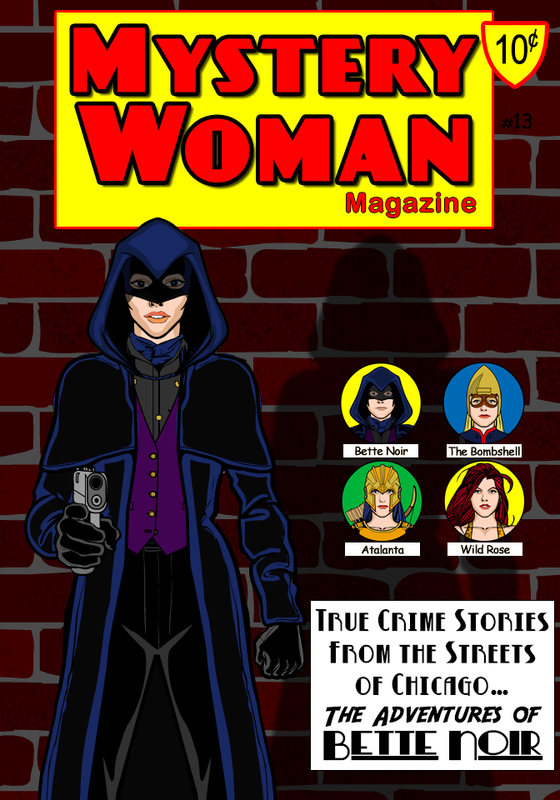 At about the same time, a new mystery woman, going by the name of Deadly Night Shade, took her place with the Good Girls. Since Belladonna and Deadly Nightshade are two names for the same plant and Bella Donna had been Bette's teenage companion for at least a dozen years when Night Shade first appeared, and both were costumed in purple, the rumor circulated that there had been multiple Bella Donnas and that Night Shade was one of these, perhaps the first, grown up. Despite her name, there is little evidence that Deadly Night Shade ever actually killed anyone. She did wield an electrified billy club, dubbed her "Night Stick", and one of the first criminals she used it on was on the critical list for a couple of weeks. Through the early 50's Bette and Bella made gradually fewer appearances, leaving distaff crime-fighting more and more to Night Shade and the Good Girls. 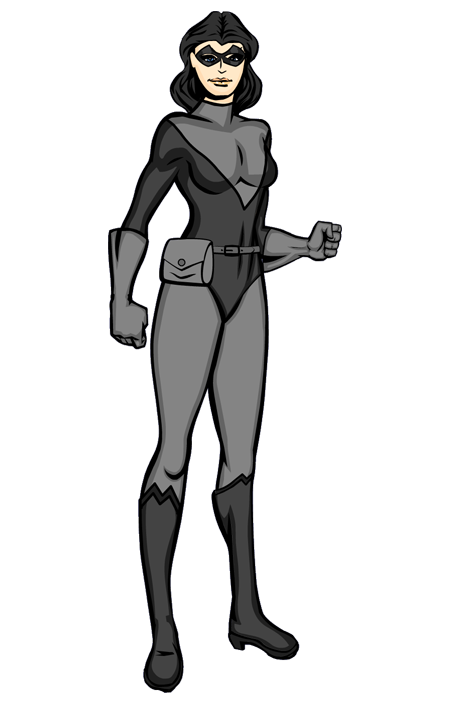 Then in the mid-50's, amidst the brouhaha over the allegations that violent vigilantes, especially the provocatively dressed Good Girls and the more sinister members of the Night Watch, were in fact contributing to juvenile delinquency, Bette returned sporting a new costume, a gray-on-gray leotard and tights outfit that was substantially more conservative than those of the Good Girls or even her fishnet and cloak days. In the 60's, a teenaged Bella Donna returned and Bette adopted a more colorful version of the costume that she had warn for the previous five years. Her more cynical critics suggested that the more colorful costume and teen companion were a conscious effort to play to the TV news cameras. Gray and black costumes were fine for the newspapers, the argument went, but as color TV became popular, a perky partner and colorful costume were called for. Whether deliberate or not, the dynamic crime-fighting duo became more popular with the public than they had been at any time since World War II. Both a movie, and a short running TV show based on fairly heavily fictionalized accounts of their lives were made, and met with substantial, if short-lived, success. 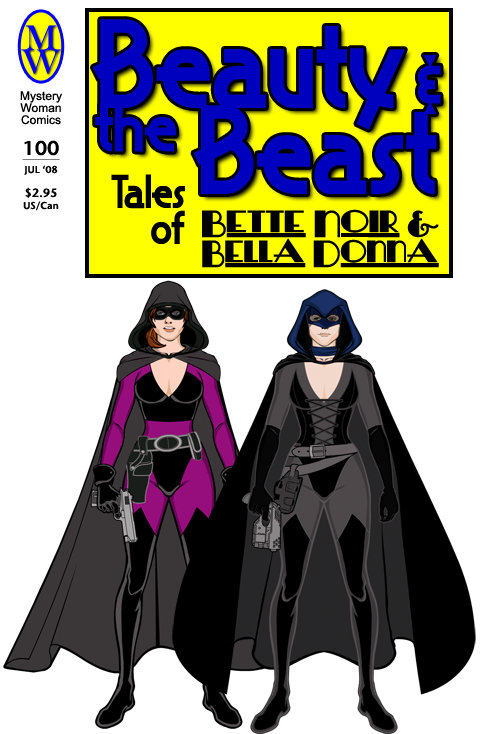 A more serious biography, "Beauty and the Beast: the Lives and Times of Bette Noir and Bella Donna" was published. The book was unauthorized and therefore highly speculative, although the author did manage to make a good case that the Bette Noir of 30s and 40s used the secret identities of Liz Black and Beth Grey. He also attempted to show how various Bella Donnas grew to take over the mantle of their mentors. In 1970, Bette underwent one of those dramatic changes that many suggested signaled the graduation of a Bella to be the new Bette Noir. Whatever the cause, Bella was nowhere to be seen and Bette reverted to the dark and sinister image of the 30s and 40s. 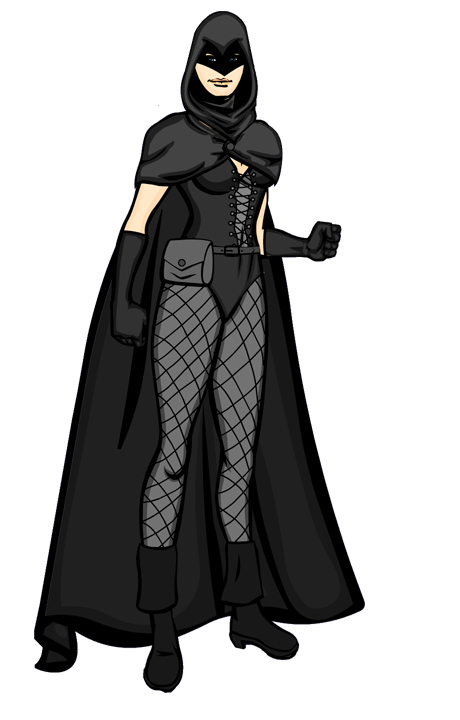 Clad head to toe in black and dark gray and once more sporting cloak and cowl, she again became a creature of the night. 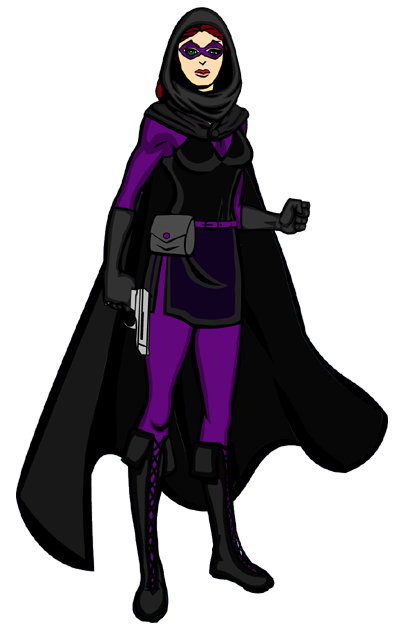 Rumors circulated that her blackout bombs and stun gun were just props to mask dark and occult powers, and once again she became a symbol of fear among the criminal class. Bette soon reassembled the Night Watch, calling on the reportedly immortal Wild Huntsman, a member of the original Night Watch, and the new Darkstar and Twilight, whose fathers, using the same names, had been members of the original team, as well as Lady Twilight, Twilight's tempestuous partner, and reputed paramour. There was obvious friction between Bette and Lady Twilight, which gossip said was caused by jealousy over Twilight. In 1975, Bette disappeared for a year without explanation. At about the same time, Twilight and Lady Twilight became obviously estranged and Twilight, himself, was seen much less frequently. Bette re-emerged almost exactly a year later, and though they were seldom seen together for the next few months, Twilight also returned to full activity. In 1978, Bella Donna, pretty clearly too young to be the same one who had been active from 1961 to 1969, joined Bette for about 3 years. Her first appearance echoed that most famous and timely arrival of the original Bella Donna. Wielding the .45 caliber pistol that had once been Bette's signature weapon, she showed up in the nick of time to rescue Bette from what had appeared to be certain death. Unlike her predecessor of four decades, however, this Bella Donna did not subsequently abandon her handgun. While she was never seen to wear a holster and there was no obvious place to conceal the heavy gun, when the situation arose, there it would be in her hand. Since Bella was clearly a teenager, and thus should not have been legally permitted to carry the weapon, the duo had repeated difficulties with the law. But whenever she was questioned and on the few times they permitted her to be searched, no gun was ever found, nor did anyone ever manage to take a picture of her wielding it. A little more than three years after her reemergence, Bella Donna disappeared. Bette never explained where her partner went, and entirely refused to discuss the matter. Nor would she discuss the appearance of a new Deadly Night Shade six years later nor whether she and the missing Bella were one and the same. This new Night Shade's cloak, cowl, and drover's coat borrowed both from the recent Bella and the original Bette of the 1930s. Her twin .44 magnums, however, were very much her own. Like the original Bette Noir, the new Night Shade was a creature of the night, a dark figure of terror to the underworld, but where her predecessors had played upon the superstitions of the criminal mind, Deadly Night Shade merely put them in fear for their lives. She was a fantastic shot and not afraid to use her guns to full advantage. In 1988, Bella Donna returned, looking much like the Bella of a decade before, but a bit less mature and without the gun. About the time that she should have reached adulthood, she disappeared from the scene and Bette underwent one of her dramatic changes in appearance and style, once more fueling the "new Bette is the old Bella" speculation. This new Bette, if new she was, adopted a more risque look and violent demeanor. Gone were the leotard and tights, leaving high boots, bustier and short shorts. 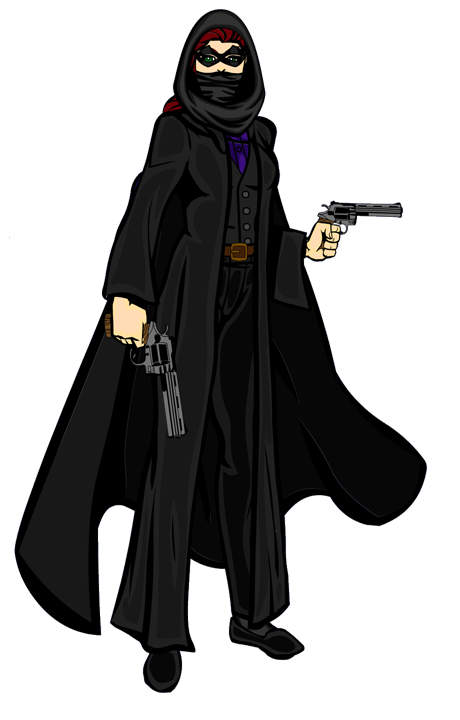 Spiked gauntlets, a bullwhip and Desert Eagle pistol completed her outfit. Deadly Night Shade had recently adopted a similar look, and soon they were joined by new equally dark and risque versions of Vixen, Masquerade and Domino in a group inevitably dubbed “the Bad Girls”, as a twist on “The Good Girls” of 45 years before. As before, the costume change reflected a change in tactics. 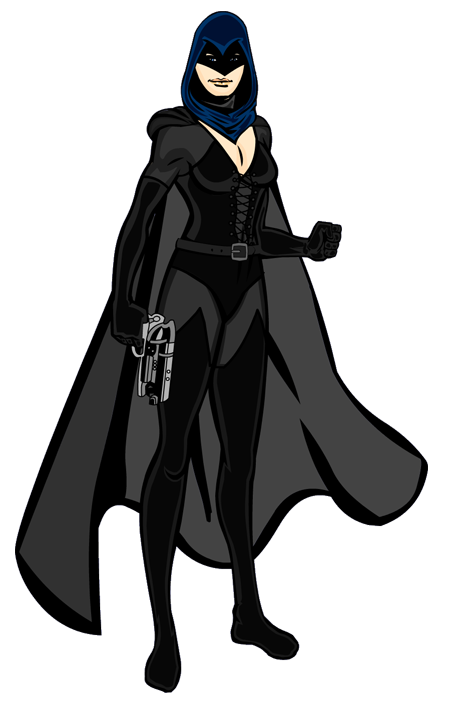 The Bad Girl Bette Noir, like Deadly Night Shade, fought crime with lethal force, living up to the “Black Beast” of her name. 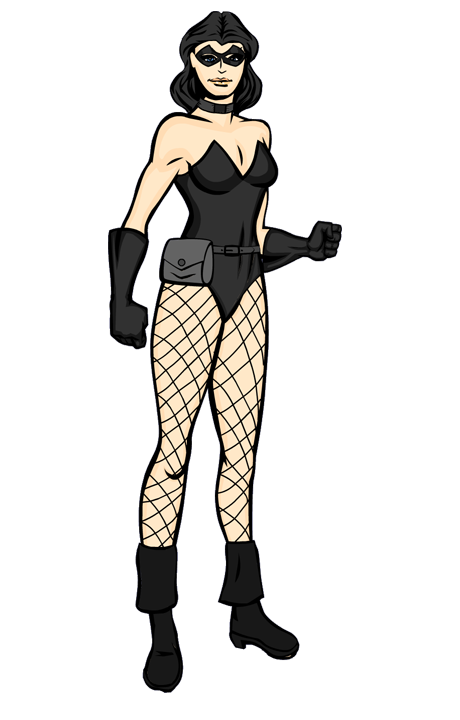 Some criticized the Bad Girls as being more agents of vengeance than justice, more vigilantes than crime fighters. Yet they were hugely popular with certain segments of the populace. 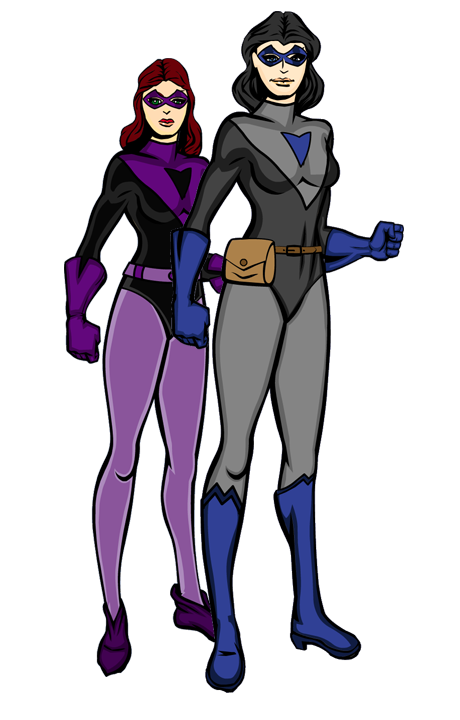 The speculation that the change was due to Bette being replaced by her young sidekick was fueled not only by the obvious youth of the woman wearing Bette's scanty new costume, and her adoption of Night Shade's violent approach, but also the fact that she often seemed to be the junior partner in the team, following the older woman's lead. It became a common assumption that they were the Bella Donnas of the 70s and 80s. 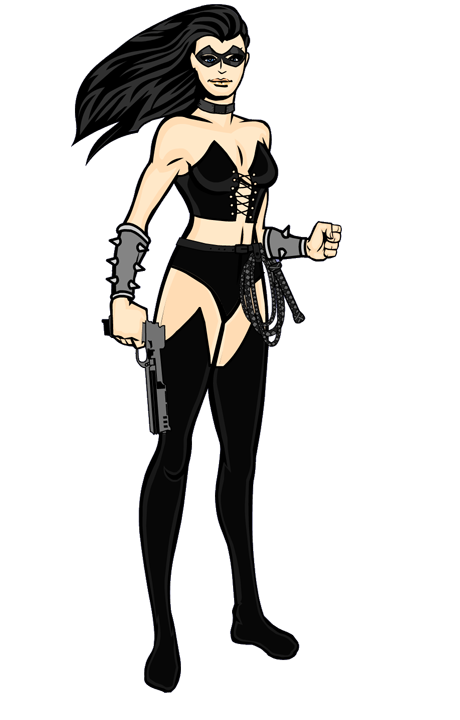 In 1995, a new Bella Donna showed up, a young "goth" girl wielding what appeared to be the original Night Shade's electrified "Night Stick". The young Bella and Night Shade seemed not to get along well, and though Bette often worked with one or the other, she was almost never seen with both. 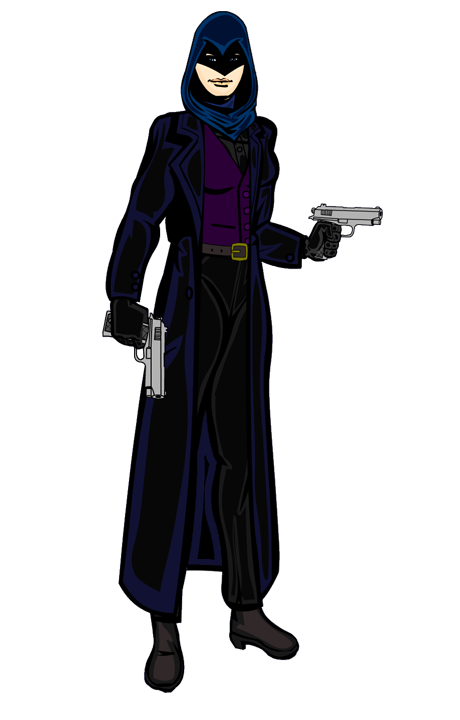 In 1998, after the death of Domino, Masquerade went on a killing spree and a warrant was issued for her arrest on multiple counts of murder. The Bad Girls, always a loose alliance at best, broke up and Deadly Night Shade retired. Bette and Bella disappeared for several months as well, and when they returned it was in new costumes much more reminiscent of their classic look. Bette kept her bustier and thigh-high boots, but now wears them over a dark gray catsuit. Bella has adopted an outfit that is something of a cross between Bette's and that of the Bella Donnas of the 40s and 70s. She carries twin .45s identical to those of the original Bette Noir, but at least to date, has never killed anyone with them. Bette, apparently not quite the markswoman that her partner is, relies on a non-lethal multi-functional high tech gun capable of stunning, blinding or inducing extreme pain in her targets. The two appear to be much closer in age than any of their predecessors and have a much more equal partnership. 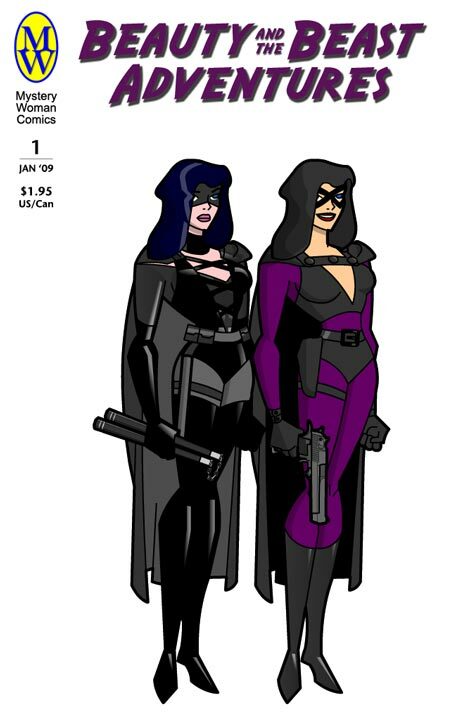 They have fought crime in their current guise for nearly a decade, and assuming they are the Bad Girl Bette and Goth Bella, another 3 years before that. Or perhaps, as legend suggests, the immortal Bette is nearly a hundred years old, and Bella only a decade or two younger and so the relative difference in their ages and experience has shrunk. Whatever the case, the duo are at the height of their careers and effectiveness in fighting crime.